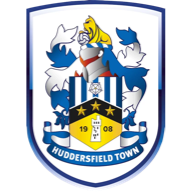 Jordan Rhodes scored twice as Huddersfield boosted their play-off prospects with a 2-1 victory over Southend. Rhodes plundered a close-range opener shortly before half-time and added a second with a bullet header in the second half - his 17th goal of the season. 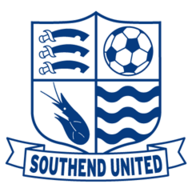 Debutant Scott Spencer grabbed an injury-time consolation for Southend, but Town held on to record their first win against the Shrimpers in more than a decade. Southend's Lee Barnard, who had scored four goals in his last six games against Huddersfield, was the visitors most potent threat and twice fired wide from distance in the first half. Town's Antony Kay hit the bar with a header from a Gary Roberts corner before Rhodes tapped in a Robbie Williams cross in the 44th minute. Rhodes then grabbed his second from Anthony Pilkington's corner before Spencer, a former Everton trainee, pulled one back for the visitors when he latched onto a long through ball and out-paced Williams before finishing confidently.